Scuba diving is mode of underwater diving, where diver dives with completely independent, self contained underwater breathing equipment to breath underwater. This equipment allows user to breath much longer than one can without equipment. Scuba diving equipment and gear consists of Eye mask, Oxygen cylinder, scuba suit and fins. 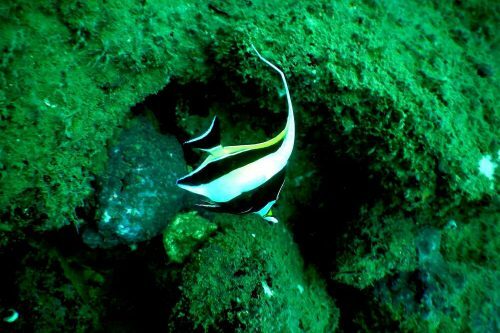 With help of scuba gear diver can explore bottom of sea and it’s a visual treat for diver as he gets to see colorful fish around him, Coral reefs and many marine invertebrates. Though Scuba diving sounds fun and experience seems thrilling as we see on tv and in videos on youtube, scuba diving needs training and guidance for use of gears. Here is where we come to your help. You don’t need to know swimming for scuba diving. Three people will be at your service through the process. We board the boat and boat will take us to scuba diving point in deep sea. One guide will help you wear gear. Another guide will brief you about scuba diving and will ask you to step down from staircase attached to boat. A trained professional guide is waiting for you down in water, floating at surface. This rained professional guide will be your diving buddy. he will teach you to breath through mouth from scuba gear. 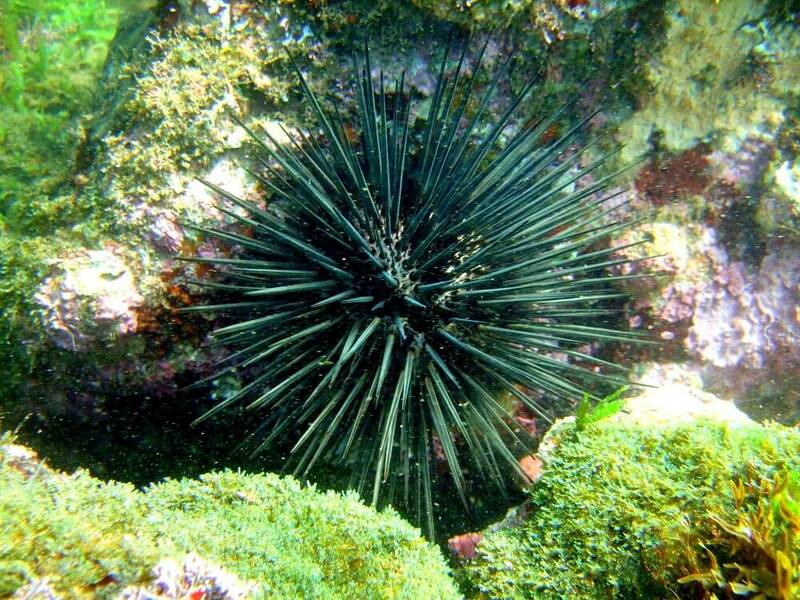 And as you feel comfortable he will take you down underwater. You don’t need to swim during dive. Guide will do the swimming part and take you down. Pressure underwater is slightly more than pressure in our environment. To ease bearing change in pressure, diver takes us down, step by step. In between if you feel any difficulty in breathing or pressure on eardrums is difficult to bear, simply point finger towards surface, your diving buddy will take you to the surface. As we are diving underwater, one guide is floating on surface, tracking our movement underwater with ring buoy. As we reach surface, he will get you in ring, so that you can float. Your diving buddy will ease you to get over suffering and again take you underwater. Total diving time period consists of 15-20 minutes. It also depends upon how long you can really bear pressure. 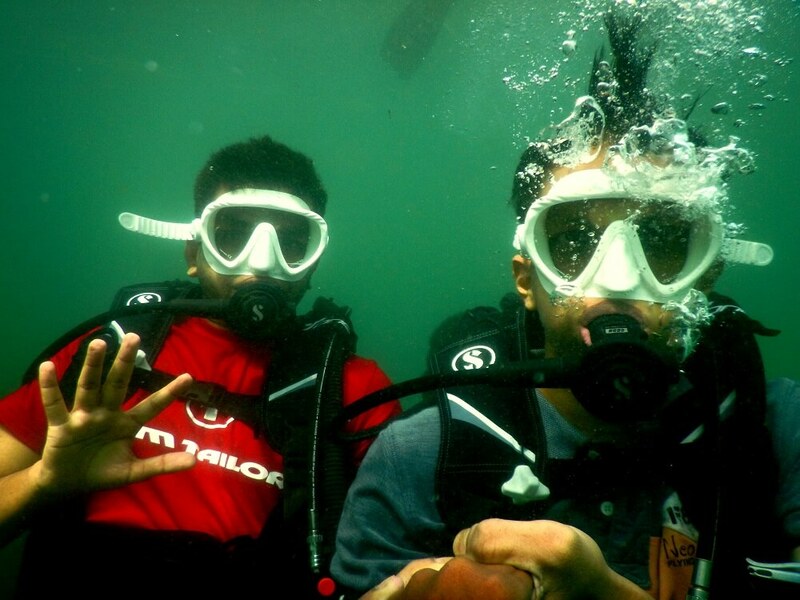 During dive, diver will click your underwater pictures and shoot a video of 2-3 minutes. 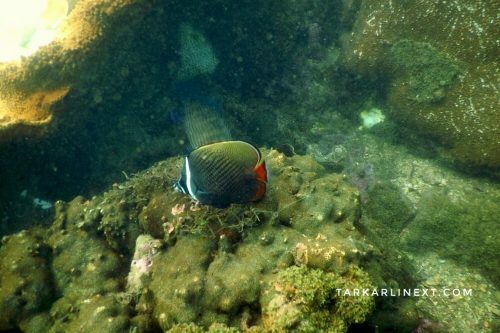 There are two major diving spots in Tarkarli. One is in malvan, behind Sindhudurg fort. Second is in Tarkarli. 3 km away from seashore, in deep ocean. I would personally recommend you to go for one in tarkarli, though scuba diving in tarkarli is slightly more expensive than malvan. 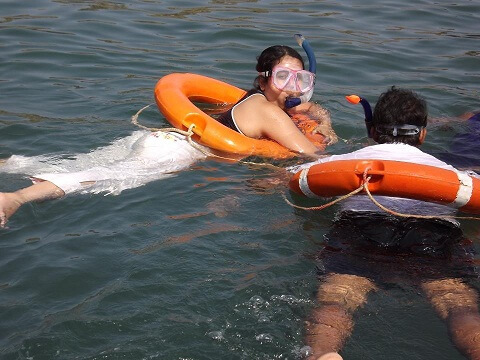 Why go for Deep sea scuba diving in Tarkarli instead scuba diving in malvan. Boating safar : 30 minutes Boat ride to scuba diving point from sea shore. 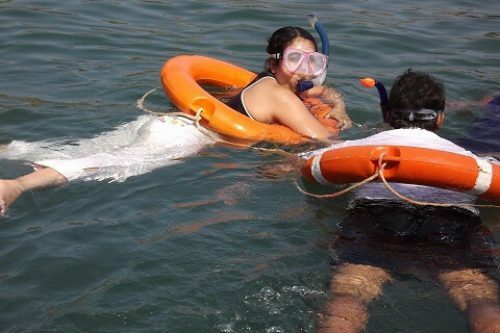 In malvan, you don’t get it because malvan’s scuba diving point is hardly 50 meters away from shore. 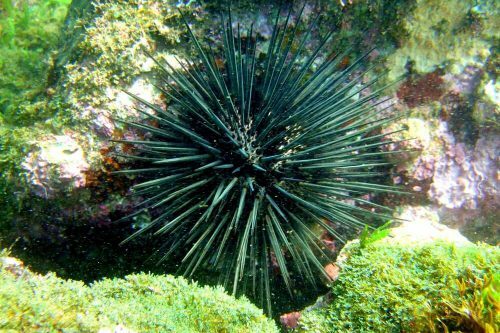 Depth : as tarkarli scuba diving point is in deep ocean, depth of water ranges between 25 to 40 feet. However in malvan’s case, it doesn’t go beyond 10 to 15 feet. Depth of water depends upon how far you are from shore. 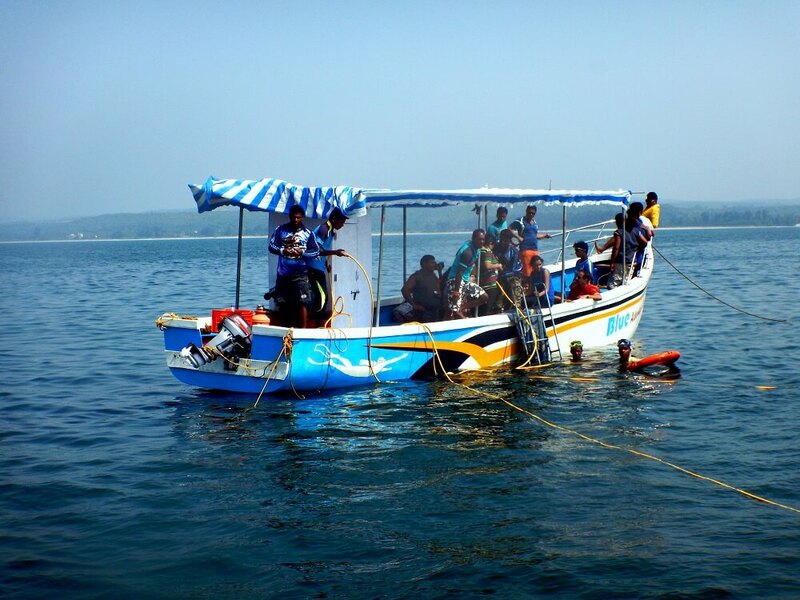 marine biodiversity : i have been to both diving points and i must say tarkarli scuba diving spot is far rich in marine biodiversity comparing to malvan. I got to see different types of colorful fish, sea grass, sea cucumber, large size conch shell and of course coral reef. How much is the cost difference between these two spots ? 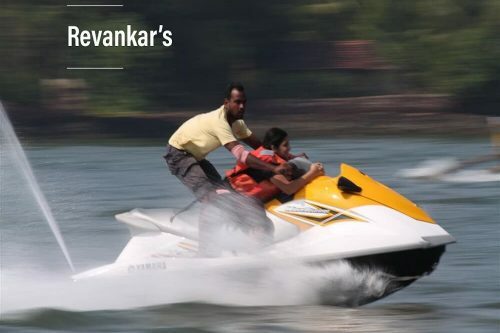 Malvan will cost you between rs. 800 -1000 per head. Tarkarli will get you for rs. 1200 ~ negotiable. 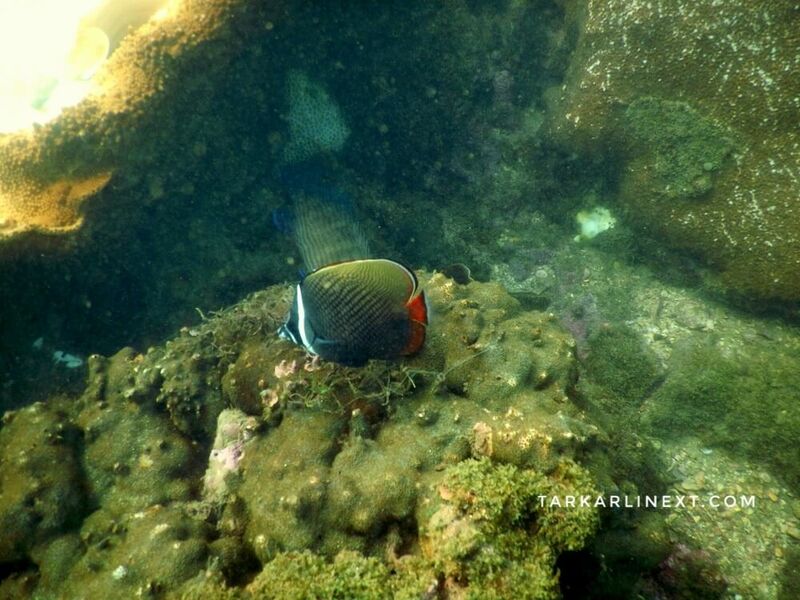 What is the best time of the year to visit tarkarli, if your motive is scuba diving ? 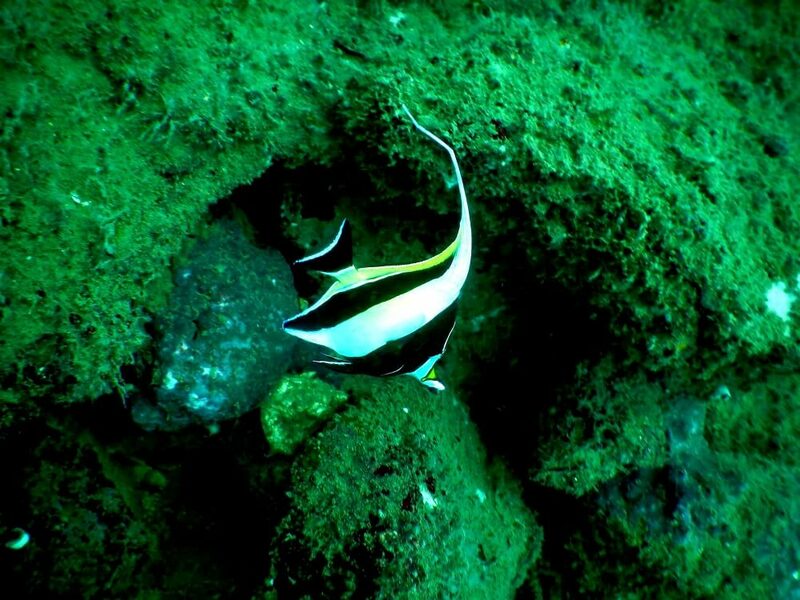 October to March, is the best possible season for scuba diving. Unpredictable weather change can have an impact on scuba diving as cyclone or bad weather stir up sea bottoms and vision underwater will not be as clear. 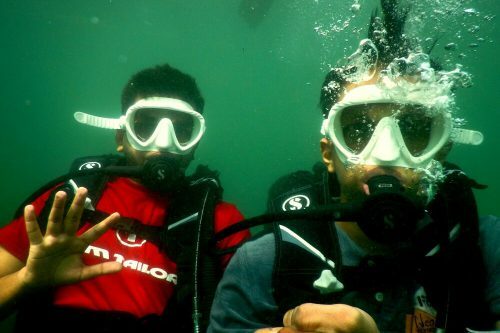 April -may, as monsoon is nearing soon, water clarity is declined. Wind starts stirring up sea in these days. However you can end up getting clear water than ever if luck favors you. June to September scuba diving is closed. When i am arranging scuba tour for someone i make sure they get best possible service and they get best experience as weather permits. My neighbour friend went to tarkarli in feb. here link to video. If anyone is interested in visiting tarkarli and wants good quality scuba diving tour or other activities whatsapp me at 9892825205. Do you like speed ? 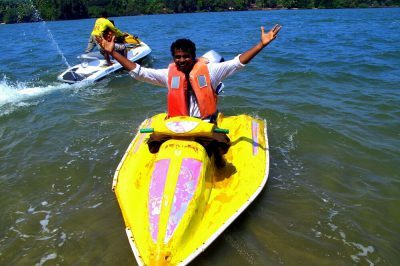 Brace yourself for the excitement of riding a high speed Jet Ski… an adventure ride that will blow your mind away. 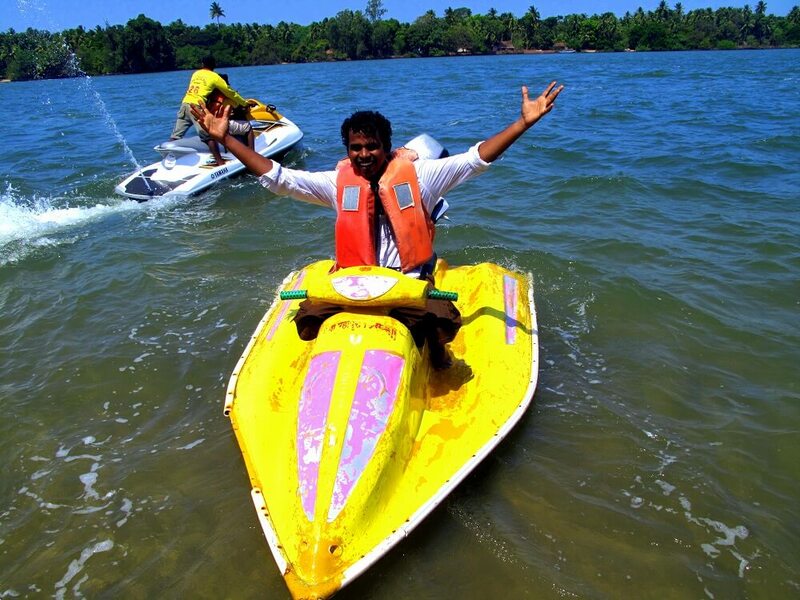 If you are coming to Devbag, don’t miss out.. Get a Jet ski ride near Tsunami Island. Bring your family & friends and enjoy the thrill. Grab your friends and get ready for a bumpy ride that will shake you from top to the toe. 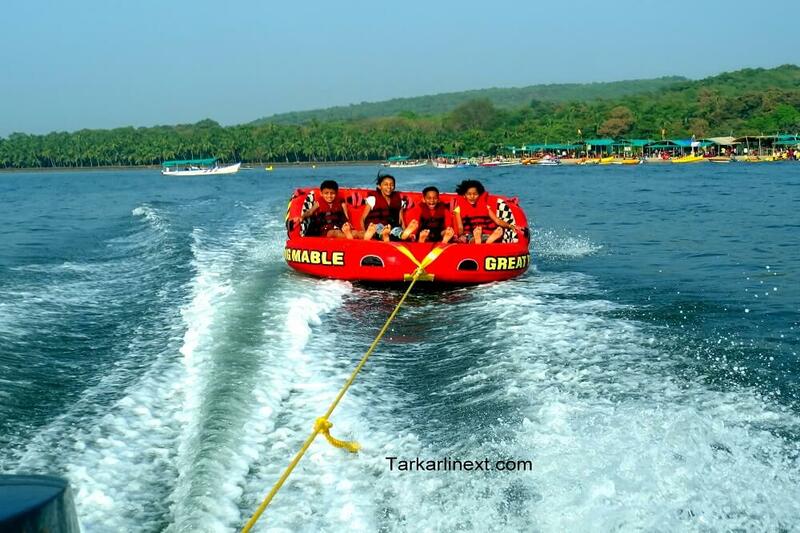 Bumper and Dolphin tubes are towed to a speed boat that takes a round of Karli river. At the end of the round, these rides will test your tenacity. Excited ? Rush yourself to Tsunami Island to find out more… Bumper and Dolphin tubes are the most popular rides among kids and adults alike. Parasailing is a much sought after sport in Tarkarli beach. 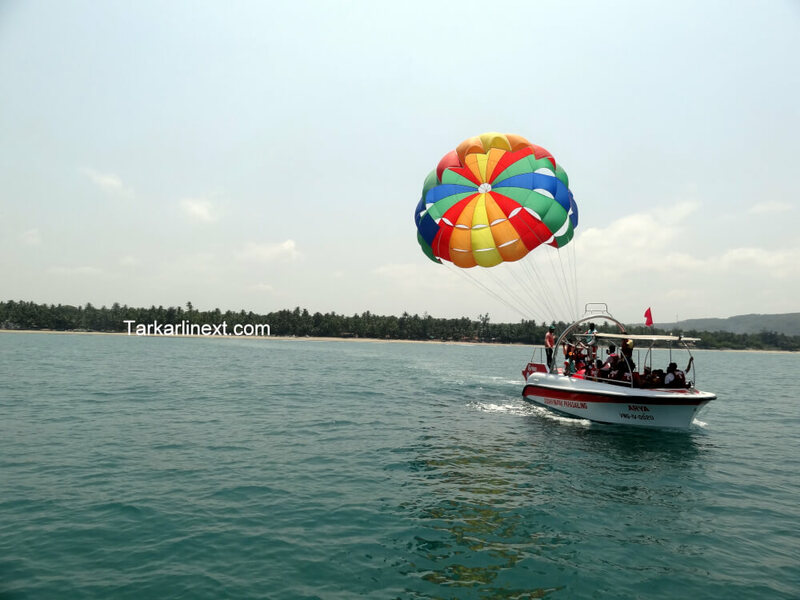 People who love to soar high like a bird and have a bird’s eye view of the coastline and the vast sea should try the parasailing sport. 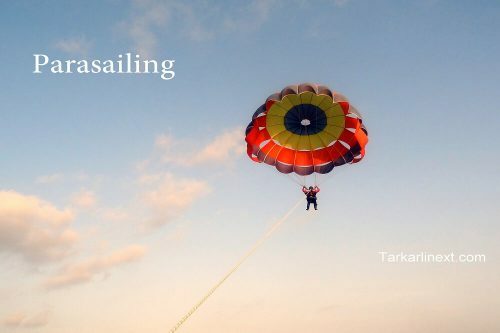 Para sailing is also known by the name of Para Ascending and is sure to set your pulses racing when you try it. 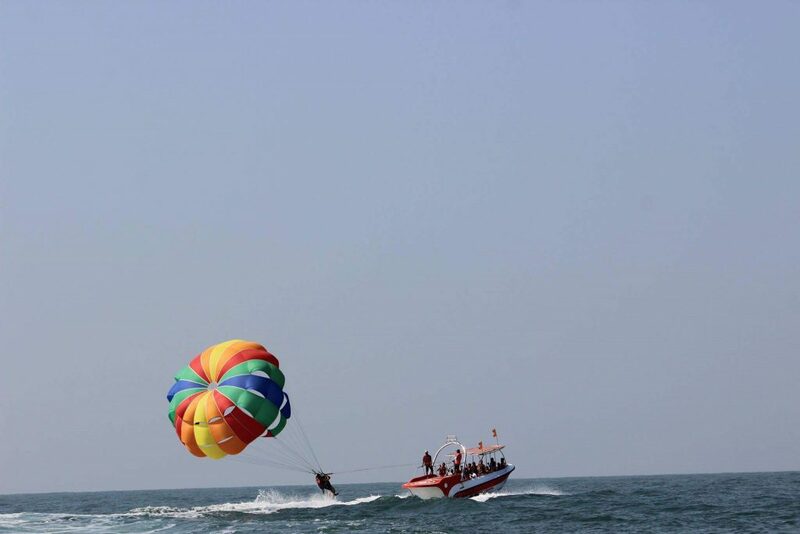 Many tourists prefer trying the parasailing sport of Tarkarli beach when they come on a vacation. It is a sure treat for an adventure seeker and at affordable rates, one can hardly resist it.For parasailing, a speed boat and a parasail are the essential requirements. A sturdy rope of about 300 feet is attached to the parasail harness at one end and the other end is securely attached to the boat. As the boat gains speed, the person attached to the parasail is heaved up in the air. Since the person is securely attached to the sail, he has very control over the sail. 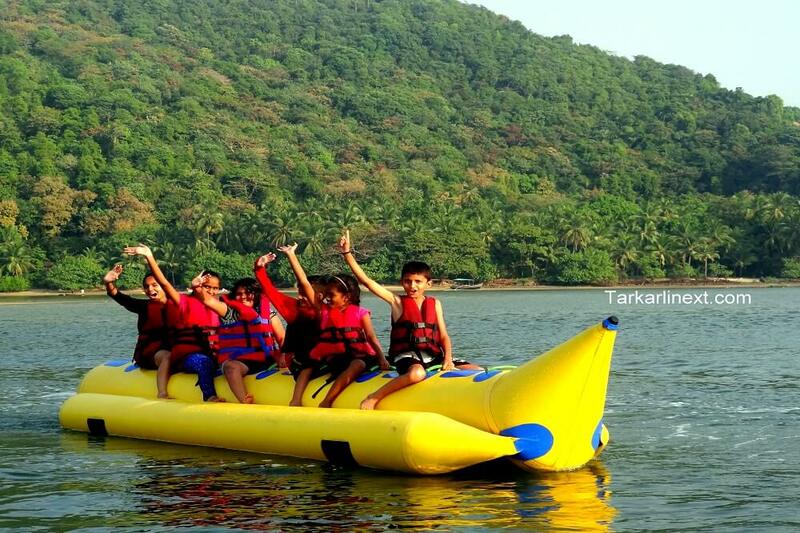 Do you have kids and it worries you when they demand ride on high speed sports like jet ski and breath-taking bumper ride or banana ride? Let us relieve you of your worries and recommend a Water scooter. 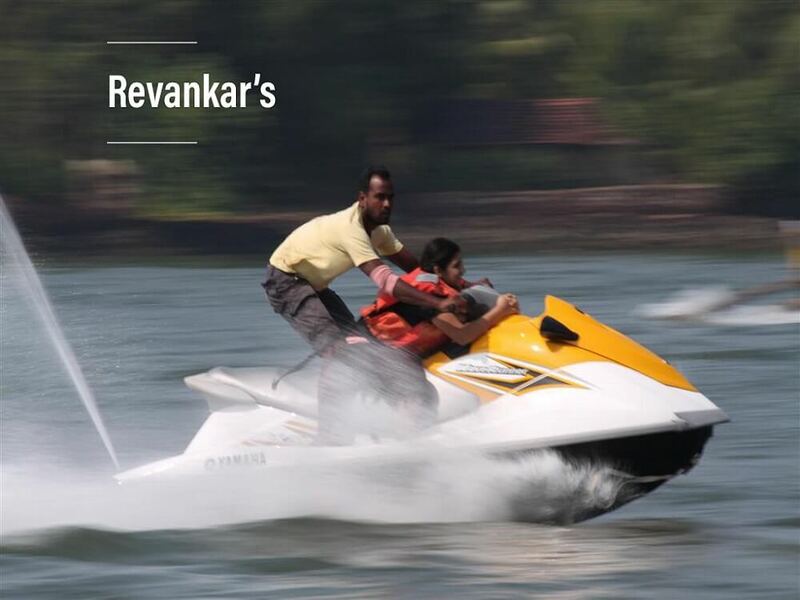 It is just similar to jet ski, but a lot safer. An outboard motor is attached behind these scooters, so all the controls are with boatman. All you have to do is sit in front and enjoy the ride. On your next vacation, treat your kids with a ride on water scooter. Imagine you are on the bank of a river and you see a humble boatman rowing his boat with smooth strokes of his paddles. Do you wonder how he does his job very calm and effortlessly? or do you feel a sense of adventure to row a boat yourself. 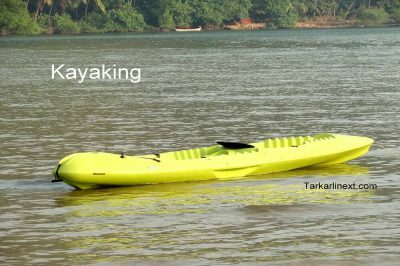 Well, if you do, then here is your opportunity: Kayaking – a safe and amusing way to enjoy boat ride. 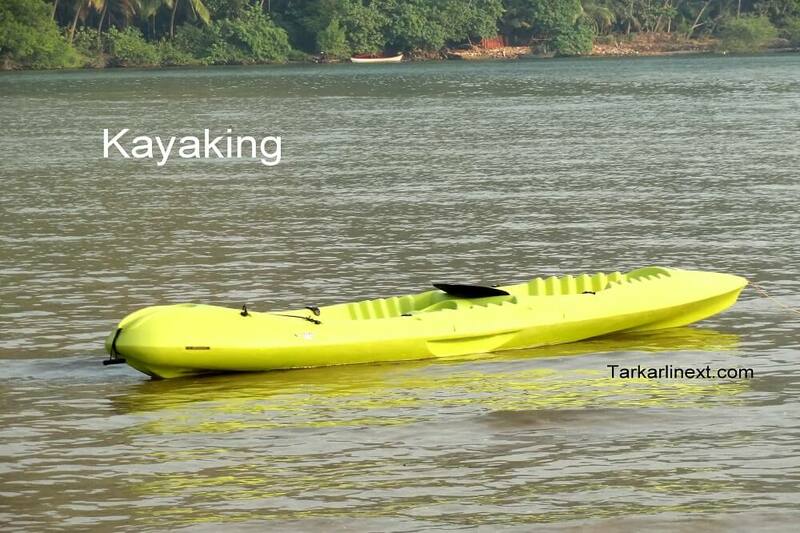 Kayak is a very lightweight, long boat made of fiber and it generally has seating capacity of 1 or 2 people. You don’t need rigorous training for kayaking if you are in a river that flows smooth and slowly. With a 2 minutes instruction demo , you can start rowing and thank yourself for the exciting choice.